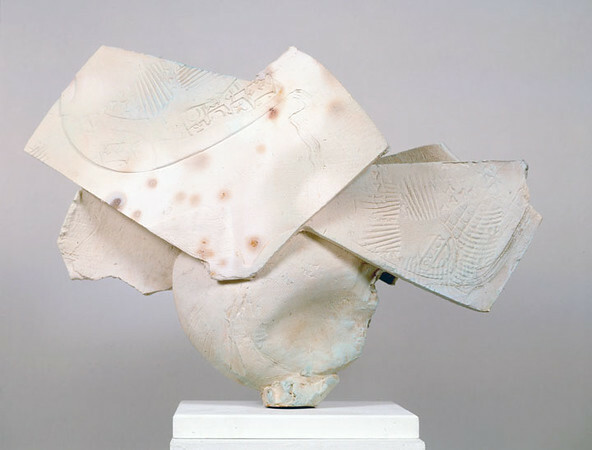 Pedestal Piece 989, 1989. 26.5 x 38 x 11 in. Low-fire salt, unglazed, white slips, wheel thrown and altered.